McFerrin was also featured in TV commercials for Levi's and Ocean Spray and also ended up singing the theme song for the Cosby Show and the movie Round Midnight by Bertrand Tavernier which got hum another Grammy. By now, Bobby McFerrin had achieved a great deal of success as a vocal and had released his platinum album Simple Pleasures which included the hit "Don't Worry be Happy". 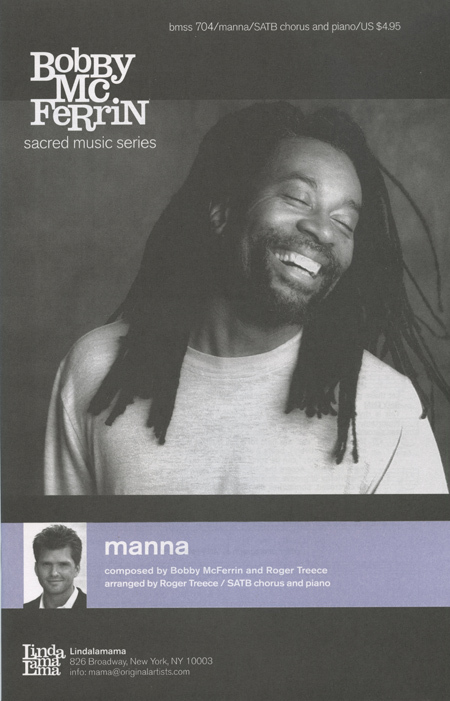 As an Orchestrator, Bobby McFerrin demonstrated his skills in 1990 when he released Medicine Music. He appeared on Arsenio Hall, Today and Evening at Pops. Beyond that, he recorded Hush with Yo-Yo Ma in 1992. The Hush album stayed on the Billboard Classical Crossover Chart for two years until he went gold in 1996. In 1992, Bobby McFerrin also released a new Jazz album called Play which earned him his 10th Grammy award. He is without a doubt one of the greatest Jazz Artists of all time. McFerrin also worked with classical music. In fact, his first classical album named Paper Music was recorded with the Saint Paul Chamber Orchestra. His symphonic conducting included the convert-length version of Porgy and Bess. This very album remains on the Billboard chart of classical bestsellers. There is another important aspect of McFerrin's life. He was part of the artistic leadership of the Saint Paul Chamber Orchestra and in 1994 he joined as the creative chair. Among his numerous other activities, McFerrin he developed a program called CONNECT which is an education and outreach program. In 1996, he was recognized for his work with bringing the youth into classical music as the ABC Person of the Week. Also, he was given a 60 minutes feature with Mike Wallace. His most recent works has been his album Bang Zoom which was released in January of 1996. Also, his latest work Circle Songs he focussed on his tremendous vocal talent. He continues to conduct symphonies. Indeed, he has conducted in practically all the great orchestra including the New York Philharmonic. Over the years, Bobby McFerrin has been an inspiration to millions and a musician who has evolved the music he so passionately works with. 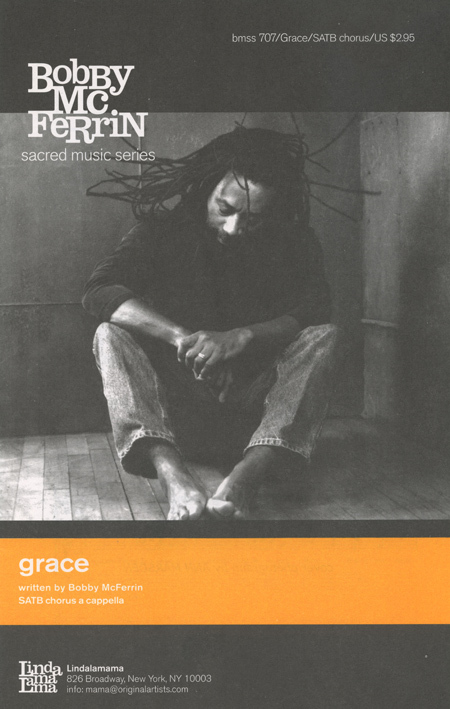 Ten-time Grammy Award winner/vocal innovator Bobby McFerrin surprises us yet again with VOCAbuLarieS, his first new release in eight years. Like his #1 worldwide hit song Don't Worry Be Happy and his multi-platinum duo album Hush with cellist Yo-Yo Ma, VOCAbuLarieS is based on Bobby's experiments with multi-track recording and his ceaseless exploration of the potential of the human voice. VOCAbuLarieS is Bobby McFerrin music for the 21st century. A collaboration with the composer/arranger/producer Roger Treece, VOCAbuLarieS features over fifty of the world's finest singers, recorded one at a time and in small groups to create a virtual choir made up of over 1,400 vocal tracks. Constructed as meticulously as a Mozart symphony or a Steely Dan album, intricately synthesized from countless stylistic elements, VOCAbuLarieS may be unlike any album anyone has ever recorded. Yet the music is always accessible, joyous, and inviting. VOCAbuLarieS celebrates Bobby's love of all musical genres, from classical to world music, R&B to gospel and beyond, building upon McFerrin's past explorations and journeying into bold new territory. If the song Don't Worry Be Happy is all you know about Bobby McFerrin, sit back and prepare to be amazed. "Don't Worry, Be Happy" is the opening tune of a collection of multi tracked songs on which all the voices are Bobby McFerrin's. Five originals including the title track "Simple Pleasures" are interwoven with "Drive My Car" (Lennon/ McCartney), "Good Lovin'," "Susie Q," "Them Changes" (Buddy Miles) and Sunshine Of Your Love. Throughout this recording is the percussive chest thump which Bobby pioneered and really must be considered the origin of innovative vocal percussion which has become so important to contemporary a cappella. 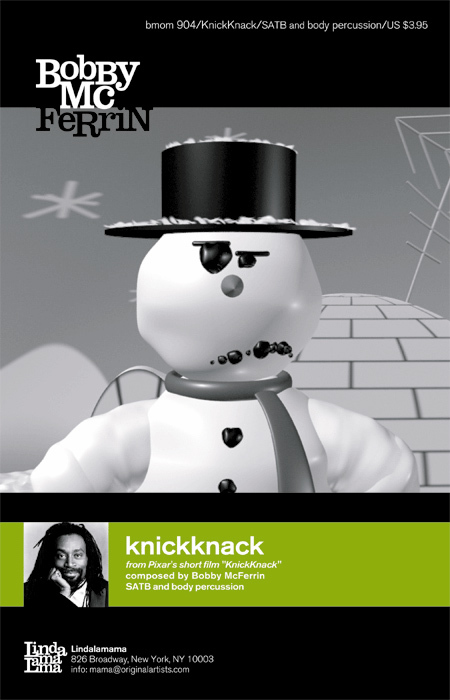 We can always expect something new from Mr. McFerrin. Circlesongs is a recording of eight spontaneous vocal improvisations sung by twelve singers and Bobby. Three basses, three tenors, three altos and three sopranos create the vocal textures around which Bobby weaves his lilting solos. The songs are very like chant because of the repeating and rhythmic sounds which truly have a circular sound. Words are eschewed in favor of syllables of sound, a style McFerrin explains, "I've always felt that singing a song without words makes one song a thousand songs because the people who hear it can bring their own stories to it." 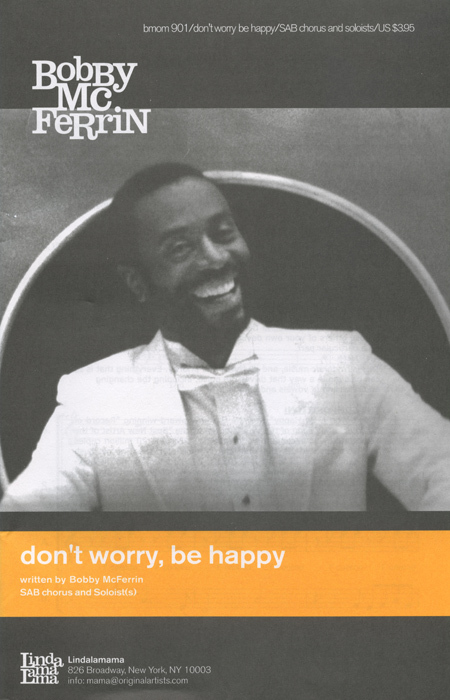 Bobby McFerrin is known to commercial audiences by virtue of the monster radio friendly hit, "Don't Worry, Be Happy." However, to judge him by that one song is like evaluating all automobiles by the Edsel. In actuality, his brilliance as an innovative vocalist and writer far exceeds his mainstream appeal, and with collaborators such as Chick Corea on piano, this recording is is overwhelmingly good. Listen to "Blue Bossa," where Bobby's gutteral growls menace and alarm; or the heat-infused "Friends," which is a sultry Al Jarreau type contemporary jazz tune; "Spain" is a tour-de-force, where the singer alternates between providing the percussion and bass accompaniment to the piano with a panoply of vocal sounds. McFerrin can entreat sweetly in one breath and then leap into a frenzy of notes, each cascading into the other with a fierce intensity that is practically animalistic. A unique talent. Bobby, the a cappella legend, may have crossed the line into the land of accompaniment on "Beyond Words," but let us just say that there is accompaniment, and then there is Chick Corea on piano, with musicians of similar stature on bass, percussion, drums and guitar, and Bobby himself playing the Roland XP-80 synthesizer. Let us also say that Bobby McFerrin has heavily influenced (many would say personally created) the resurgence in a cappella music in the last two decades, and that that was no mistake or lucky break. He is an artist who pushes the vocal jazz envelope, and he's pushing it here. 16 songs that take Bobby's art - what he does better than anyone else - that is, use his voice as an incredibly multi-faceted instrument, to create sounds and moods that no one has ever created before. "Invocation," "Kalimba Suite," "A Silken Road" - each is a little masterpiece of vocal and instrumental improvisation, as beautiful and earth pastel-colored as the stunning liner notes. Listen and be in awe! "Mouth Music" has a photo of a smiling McFerrin, thinly-wrapped dreadlocks hanging down, in an incongruous white tie and tux; and the first cut is Overture to "The Marriage of Figaro" by the St. Paul Chamber Orchestra-conducted by Bobby McFerrin. The 2nd cut is the jazz standard "'Round Midnight," with Bobby's smoky, faux-trumpet solo lead, Herbie Hancock on piano, Ron Carter on bass and Tony Williams on drums. Next is "Song for Amadeus," Bobby's improvisation on Mozart's Sonata No.2 in F Major," with Chick Corea on piano. The 4th and 5th cuts are "Pavane, Op. 50" and "Minuet" from String Quintet No. 1 in E Major, Op. 13, with Bobby conducting the Chamber Orchestra and providing soaring, joyful vocals, especially on "Minuet." The wonderful, rhythmic a cappella "Circlesong 1" and "Circlesong 2" are followed by a sublime "Hush Little Baby," "Flight of the Bumblebee" and the surprising "Hoedown," with Bobby's freeform vocals accompanied by Yo-Yo Ma. When we have a tendency to think that singers and other musicians aren't really so special, a CD like "Mouth Music" will show us exactly how extraordinary they can be. A beautiful CD from Master Bobby and his talented guests! Songlist: Overture to "The Marriage of Figaro", 'Round Midnight , Song for Amadeus, "Minuet" from String Quintet No.1 in E major, Op.13 No.5, G.275, Circlesong 1, Circlesong 2, Hush Little Baby , Flight Of The Bumblebee from The Legend of Tsar Saltan , Hoedown! "Swinging Bach" is a 122 minute documentary of a festival that took place in the old town square of Leipzig, Germany. before a large, appreciative audience (who are standing throughout, are introduced to the groups in both English and German by an attractive pair of emcees, and who get seriously rained on later in the show). Featured are 12 groups of different genres, mostly instrumental, all playing Bach pieces or variations on Bach pieces. The German Brass and the Gewandhausorchester Leipzig, directed by Christian Gansch, are followed by a jazz interpretation of "Fugue No. 5 in D Minor" by the Jacques Loussier Trio, then another Bach Concerto and Fugue by the Leipzig orchestra and the German Brass. Then comes one of our favorite pieces, Bobby McFerrin with the G. Leipzig, doing a wonderful faux (violin?) lead on "Orchestra Suite No. 3 in D Minor," followed by more German Brass, G. Leipzig and some nice pieces by two quintets, the Quintessence Saxophone Quintet and Turtle Island String Quintet. Another of our favorites follows, The King' Singers. with a brilliant a cappella medley of Bach samples, "Deconstructing Johann," with their own very funny added lyrics, which we would like to see written down so we could appreciate them more. Quite a few added features follow, our favorites being "Improvisation on "Wachet auf ruft uns de Stimme," featuring Bobby with the Loussier Trio, and a piece with Bobby and the G. Leipzig where he goes into one of his standard concert improvisational vocal riffs. "Swinging" is an amazing event with some particularly nice work by McFerrin and the King' Singers. This video was filmed for HBO live at the Aquarius Theatre in Hollywood in 1986, the year McFerrin won a Grammy - when he was at his first peak as a one man jazz band. It is absolutely marvelous to watch the energy and humor of this musical genius interact with an audience. On the CD you can hear "Thinkin' About Your Body" but you don't see the interlude where McFerrin suddenly starts improvising on someone's leather jacket. Watching him create "Bwee-Dop"using audience participation is very different from just hearing it (which is why it didn't make the CD), and there's no substitute for watching him egg on the crowd to do the hand signals in "Itsy Bitsy Spider," On "Fascinating Rhythm," his expressions are priceless as he emulates a 1940s jazz band. And his duet with/accompaniment to soprano saxaphonist Wayne Shorter is all the more astounding as you see the two of them lock eyes and minds. Of the 12 songs here, only four are on the CD. We highly recommend this DVD! Beyond Words traces the personal, musical, and career history of 10-time Grammy Award winner Bobby McFerrin, from his earliest musical inspirations through his vast yet intimate experiences in popular music, jazz, choral, orchestral, and solo performance. See how this consummate musician has traveled along the continuum of the musical world to find himself championing singing and performing - beyond instruments, beyod tradition and Beyond Words. In personal interviews, Bobby reveals the difficulties in finding his calling in life, his personal philosophy on creating, his classical origins, the secrets of collaborating, and the importance of family. Featuring interviews and performances with Robin Williams, Chick Corea, James Levine, Herbie Hancock, Yo-Yo Ma, and more. 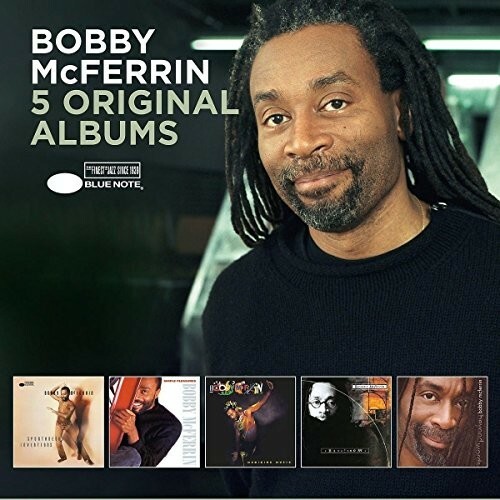 Recorded in front of a live intimate audience at Minneapolis' Walker Arts Center in September 1999, "Try This At Home" features the 10-time grammy Award winner Bobby McFerrin in a version of his renowned solo vocal concert. Entirely improvised, the performance displays Bobby's astonishing vocal virtuosity and musicianship, and his gift for audience interaction. With a comedian's sense of timing, an unrestrained zany streak, and an infectious love of every genre of music, Bobby's solo show is not a 'performance' but a communal sharing and celebration of music. Since a cappella pioneer Bobby McFerrin singlehandedly gave the vocal arts a hand up to a whole new level of possibilities in the 1980s with his iconic hit "Don't Worry, Be Happy," we have looked at him and listened to him with awe and gratitude. Experiencing him perform live several times only increased these feelings exponentially, and we had the feeling that everyone in the audience was on exactly the same page. Well, in the early 90s Bobby seems to have picked up on that, and has invited the audience to participate, and included interaction with guest musicians, all improvised. This has cemented his reputation as a marvelous entertainer, and has created a new kind of concert-not a performance, but a "communal sharing and celebration of music." This is exactly what the new DVD "Live in Montreal" is all about. It's beautifully filmed at the "Festival International de Jazz de Montreal," In these 21 video cuts, part of the audience is right up on stage with Bobby, and he improvises and creates musical events with them and members of the main audience. He improvises with a trapeze artist above him, and with a singing viola player. I'll just list some of the cut titles to give you a taste of what happens in this very special DVD: 12. 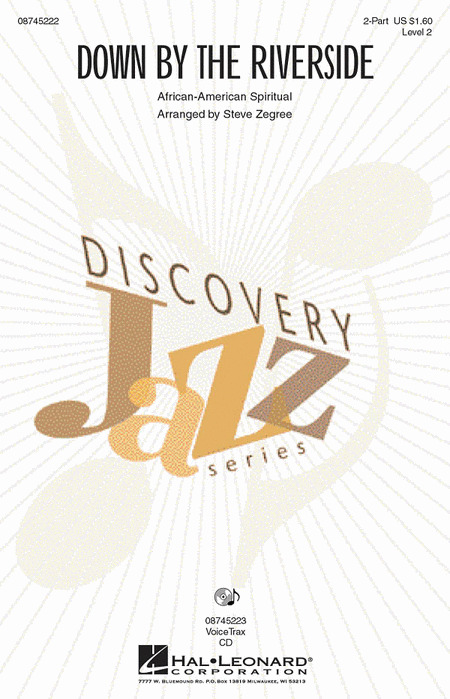 "Improvisation with Richard Bona," 13. "Improvisation, Country Stuff," 13. "Baby," 14. "Improvisation with Tamango "Well You Needn't," 15. "Bwee Do," 16. "Le Grand Choeur de Montreal, It's a Wonderful World," 17. "Circlesong One," 18. "Somewhere Over the Rainbow" and 19. "The Wizard of Oz Medley." Bobby is a living a cappella legend, and this live show is creative, funny, touching and simply brilliant. Don't miss this one! Without a doubt one of the most popular songs of the 20th century, Don't Worry, Be Happy is re-created here in an exact transcription of the Bobby McFerrin's original hit recording from the album Simple Pleasures. 3 soprano parts, 2 alto parts, and a very hip bass line back up the soloist or soloists of your choice. The light-hearted caribbean flavor of this unique piece took the country by storm! Kirby transcribes Bobby McFerrin's hit for today's a cappella ensemble. Available: SATB a cappella. Performance Time: 4:12. What a great way to introduce the music of Bobby McFerrin to younger choirs! Winning the Grammy in 1989, this hit tune will bring a smile to everyone's face! Includes parts for Flute 1 & 2. Discovery Level 2. Available separately: 2-Part, VoiceTrax CD. Duration: ca. 3:30. Alto, tenor, and bass voices suggest the chant-like song of a carillon while the sopranos create a rhapsodic melody. This meditative score is enhanced with rhythmic breathing and optional parts for two cellos or cello section. Beautifully transcribed from Hush, Bobby's duo album with Yo-Yo Ma. The music from the hilarious Pixar short film of the same name which preceded Disney's Finding Nemo in movie theaters and on DVD. Great fun to sing and not hard to learn, 'Knickknack' provides charming musical accompaniment to an animated love-story-with-a-sense-of-humor. Audiences will recognize it instantly (unless they were out on the popcorn line). With text adapted from the Book of Matthew, Manna provides a simple refrain with wonderfully textured variations that bring light to the thought "Whoever believes in Me will live forever." 'Manna' includes a through-composed piano part as an additional color in the ensemble. 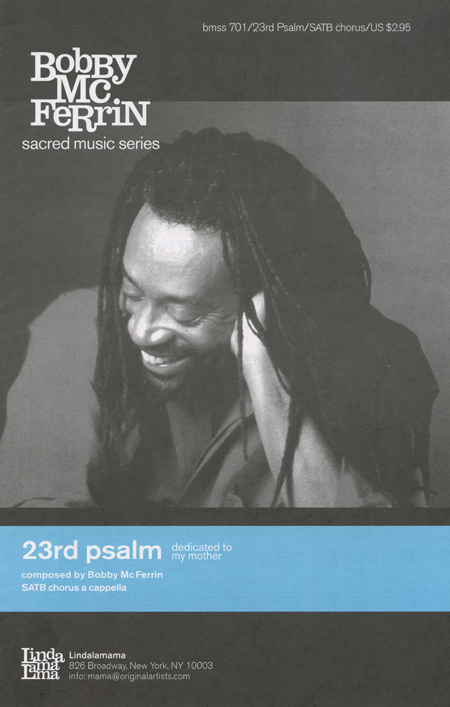 This ethereal transcription, as recorded by Bobby McFerrin, provides a new and different setting for this cherished Psalm. The very free, almost chant-like rhythms and repetitive harmonies of this a cappella piece, coupled with an original paraphrase of the text, produce a very contemporary perspective on the well-known words of assurance. Especially useful for Good Shepherd Sunday. Available: SATB a cappella.